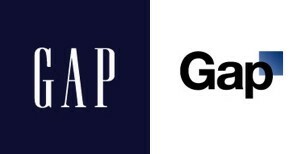 When I first saw the new Gap logo I thought this must be a joke. So was not the case. Looking into the matter I understood that my reaction wasn’t unique in any way. I’m still not sure wether the whole affair wasn’t a clever PR trick to create an awareness of the brand and upgrade it’s fading popularity. Time might tell. The reason behind it all was that the company had changed so much and there was a wish to align the logo with the new, modern company. On October the 6th the soft launch took place on their website without previous external communication. The logo war began immediately on Facebook, twitter, internet magazines and websites. After 6 days of battle the community won and the company retrieved their old logo. 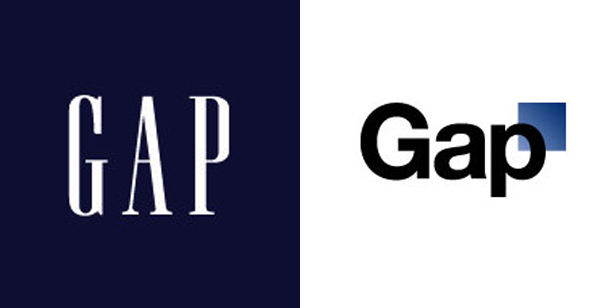 My next post will be about the logo contests and Gap’s own use of crowd sourcing that took place in the wake of Oct the 6th. Ugly little dude to the left. GERBER SINGLES by baby-food manufacturer Gerber is one of the most frequently referenced brand failures of all times. Gerber’s attempt to extend into adult food market definately belong in the brandning Hall of Shame. The name it self indicates ‘I live Alone and Eat My Meals From a Jar’, to qoute Susan Casey (October 2000 issue of Business 2.0). I have not found any comments from Gerber on whether the product was market researched or not. It failed spectacularly though. This is a typical case of inside-out thinking. Gerber had the set up for production and decided to launch a new product line without a least bit of consumer knowledge or insight.